Graphic artist Gabriella Marcella started RISOTTO, a risograph print and design studio, after studying graphic design at Glasgow School of Art. 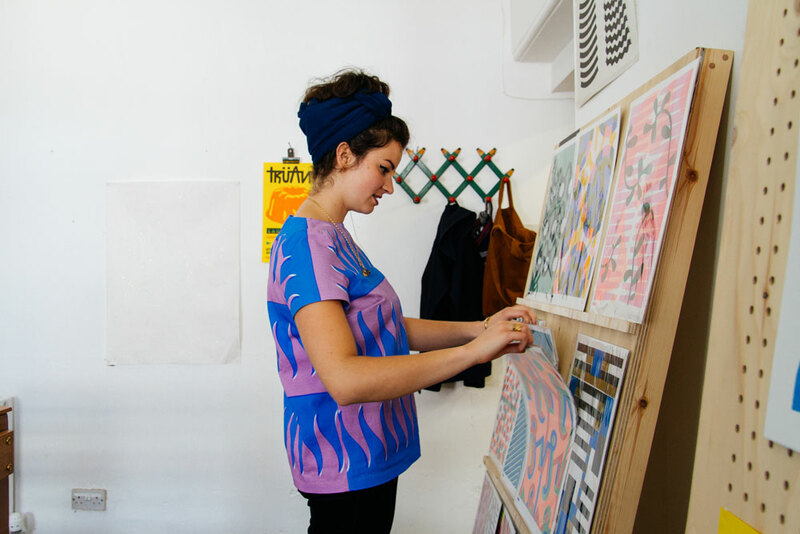 We visited Gabriella to document her colourful work for Local Heroes, an exhibition and pop-up shop celebrating Scottish design that took place at Edinburgh Airport during Edinburgh Festival in August 2016. You currently split your time between RISOTTO and your personal practice as a graphic artist, could you tell us more about this? 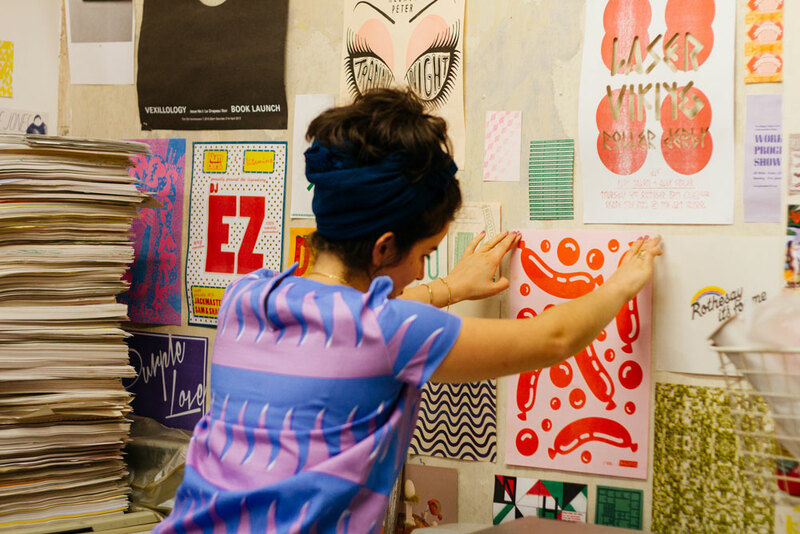 I’m a graphic artist based in sunny Glasgow, and I juggle running RISOTTO (a risograph print specialist/stationery co.) with various design commissions that generally involve decorating objects and surfaces with colour, and playful pattern! Both strands are equally delightful but work across different aspects, outputs and processes. RISOTTO was set up through my desire of owning the means of production; being able to play and experiment with the processes at my fingertips has been so influential to my design process and work. 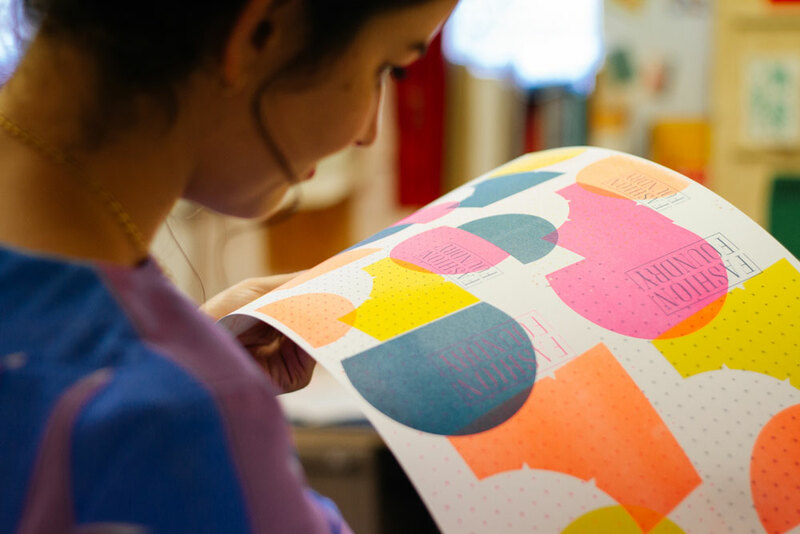 The risograph was therefore the perfect print machine as it encourages experimentation, quick outputs and a wonderful/limited ink spectrum. 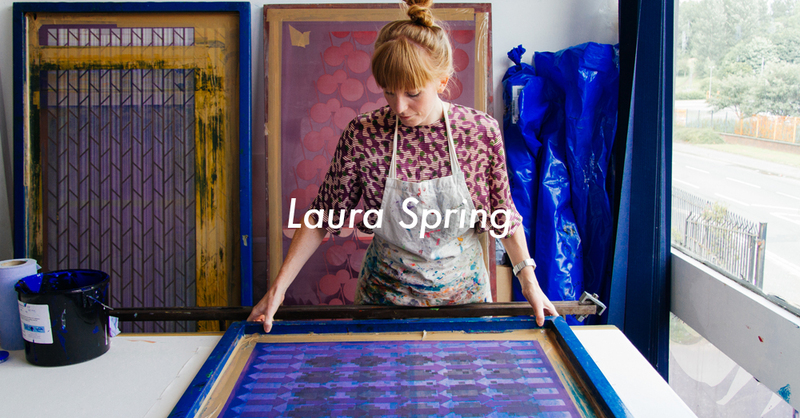 Being a print service has also allowed me to meet and work with a whole spectrum of creatives, both locally and internationally. In parallel to this, we are producing new product ranges each season – and this grants me a regular outlet to play with my own designs and marry them with my love for stationery. 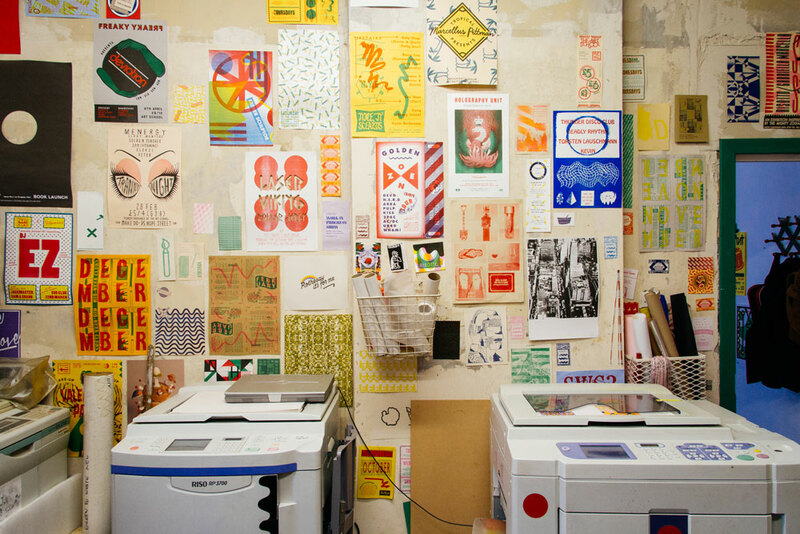 When and how did you get interested in riso printing? I had my first shot on a Risograph whilst studying in New York. 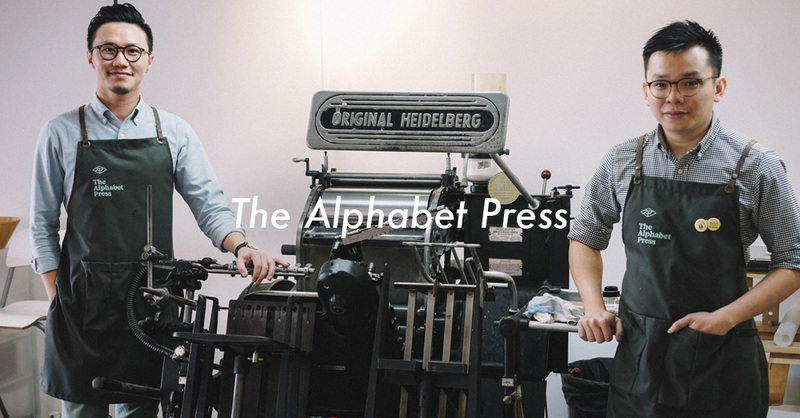 I had taken an independent publishing class run by designer and publisher, Duncan Hamilton, and fell in love with the process pretty quickly. From there I started obsessing over zines, and publishers like Nieves books – who I later went to intern for. 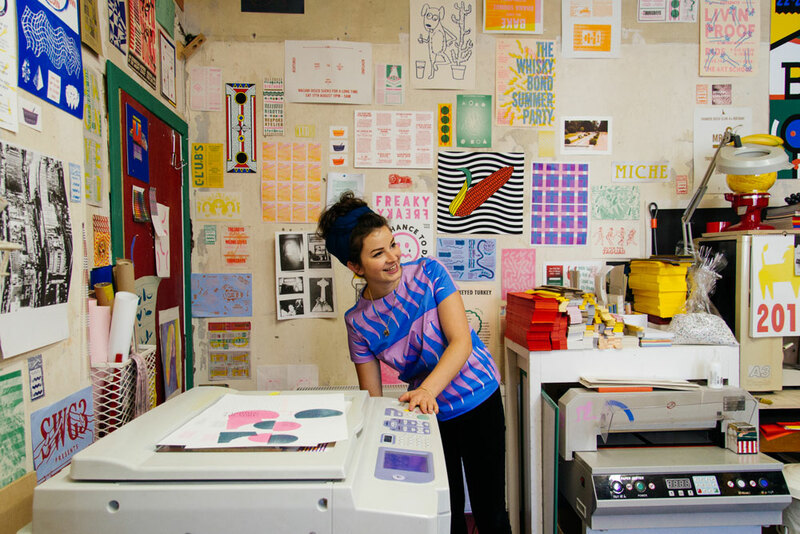 Could you briefly describe the riso printing process and what it entails? 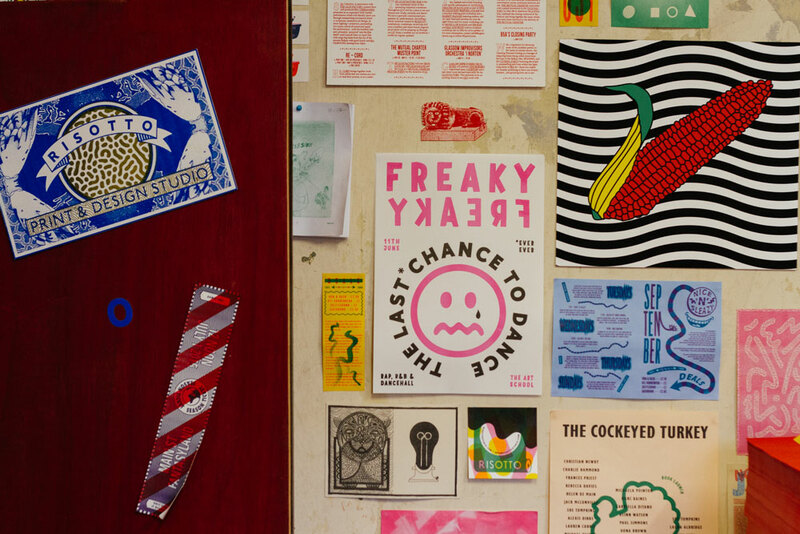 What qualities of riso printing do you find more attractive compared to traditional printing? Risograph printing has been my weapon of choice for a while now, hence having the urge to launch RISOTTO. I found the speed and unpredictability of the printer fascinating. It never behaves quite how you expect, and these happy accidents with developing colour experimentations are what really shaped my practice. 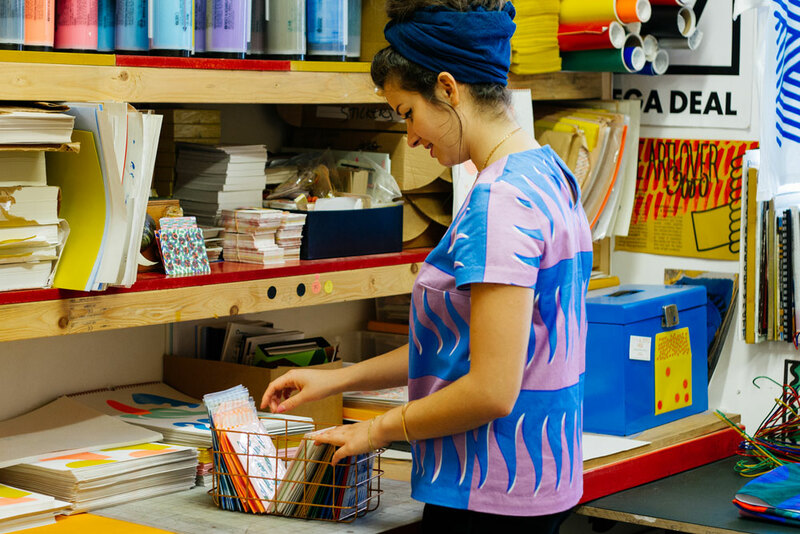 The Risograph uses SOY based inks, and prints very similar results to that of screen printing. Its texture and appearance can vary depending of the paper it’s printed on, but as a rule the surface should be porous as opposed to glossy. There is a transparency to the inks, which allows for overprinting colours to extend what might appear to be a restrictive colour palette. 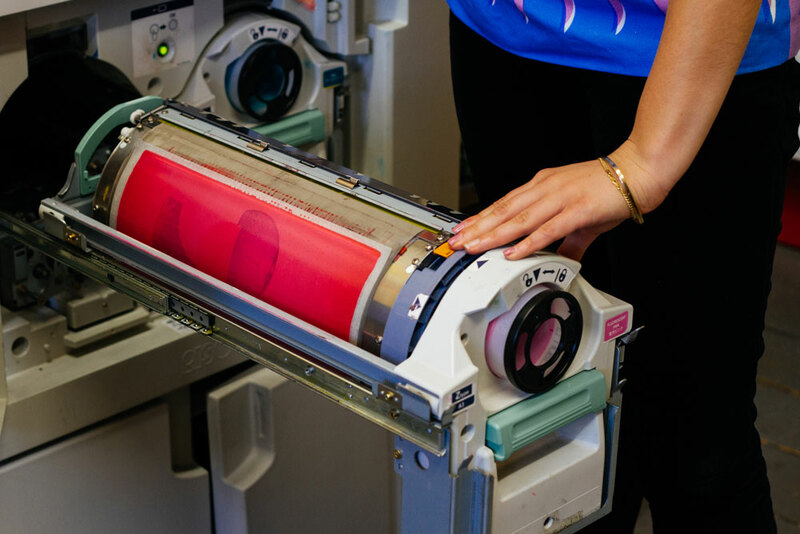 The Riso can also print fluorescent inks; colours that cannot be replicated on screen or be digitally printed. You started RISOTTO briefly after finishing your degree, what were the main challenges you faced when setting up your own business? With the prospect of graduating, it pushed me to look seriously at my options of remaining in Glasgow. The city doesn’t have a wealth of edgy design studios, but what it does have is a very active and supportive creative community with the added benefit of affordable studios/spaces. It made my transition exciting and prosperous, rather than daunting and competitive. I got my first riso off ebay! And it’s still where we regularly source a lot of our equipment. The trouble with Riso is they don’t make the machines any more, so collecting parts and spares can become a serious hunt. There are 15 colour drums in the studio now, but that’s taken a while to get too. I meet people often who’ve never heard of the riso process, and it reminds me how much of a bubble RISOTTO operates in. 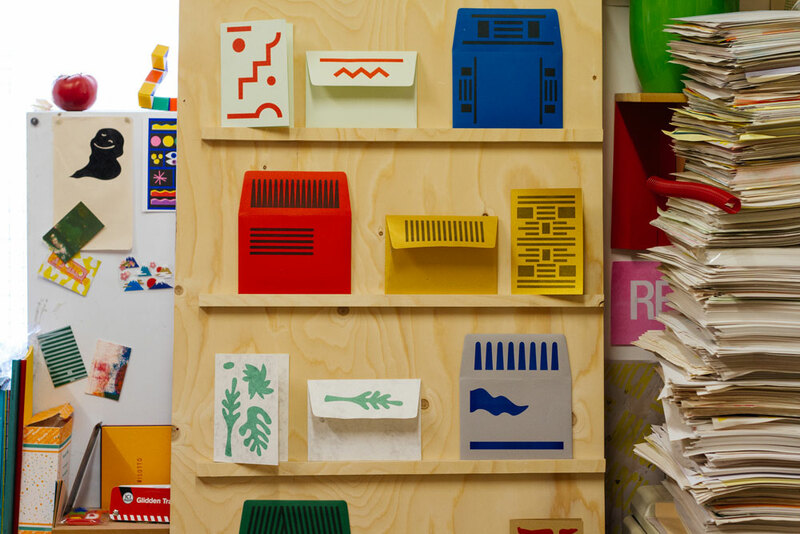 The riso community is extremely niche, but the network it’s opened up is one of the best things about it. 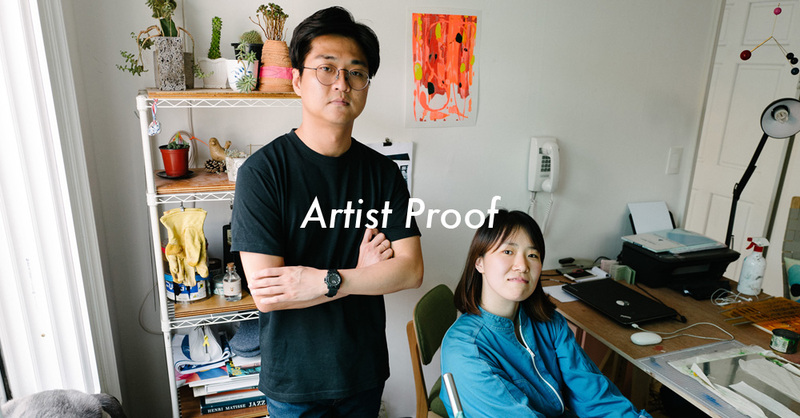 From trading prints across the Atlantic to troubleshooting problems online, it’s enabled me to meet amazing artists and designers, and instigate new projects. A large percentage of art students end up being self-employed. 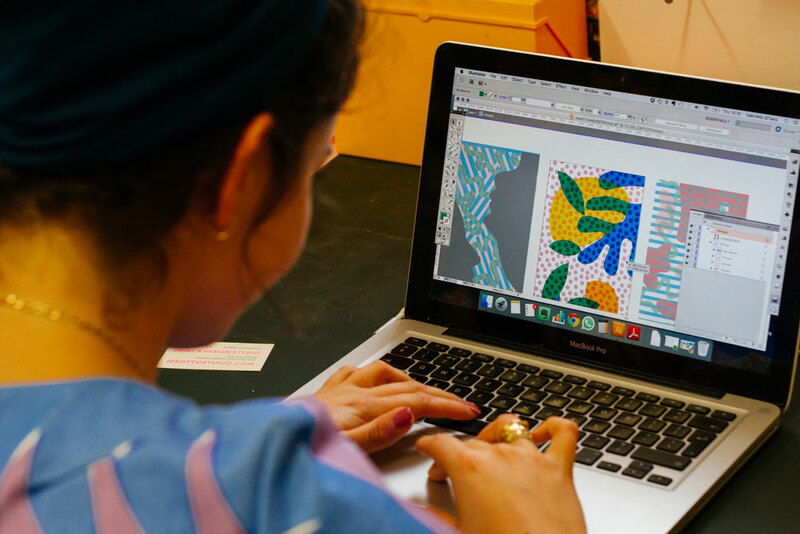 Do you think your art degree prepared you to become self-employed or do you think this is an area that should be more integrated into art school programmes? Definitely not! I was so unready – but the best way to learn is through practice and making all those terrible mistakes. It would be great if art schools encouraged and prepared students for this, as it’s a route that has so much potential, and freelancing practices are becoming more and more in demand. Going back to your personal work, what are the main inspiration behind your colourful designs? 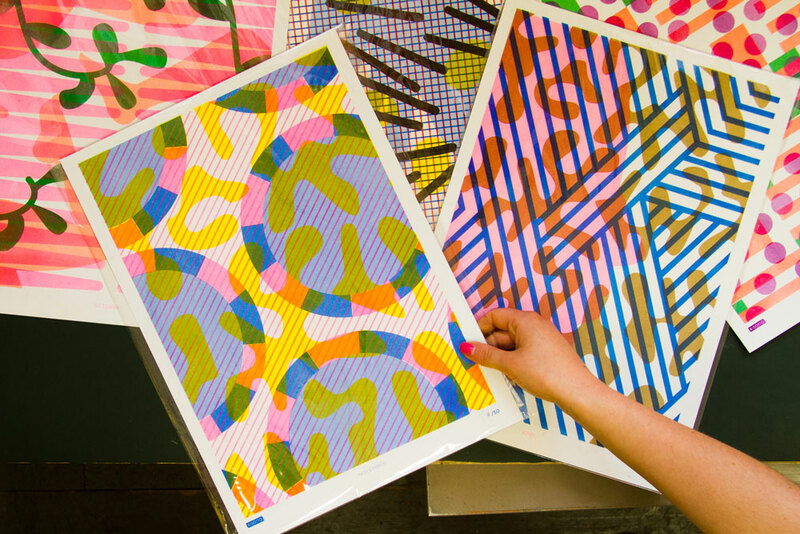 Playful colour and pattern are inherent to my process, regardless what the project is. My reaction to any surface or space is to decorate it; whether its a poster, piece of clothing or space – if it makes me smile then hopefully it will bring some joy to others too! What are some of your favourite commissions you’ve worked on? All of them were pretty fun, as it’s meant working on something different and new. The t-shirt designs I worked on for for Stussy, murals for PUMA, store art for Dr Martens, and art direction/set design for a huge Indian folk art exhibition that opened at Tramway this summer. The range of work keeps me on my toes, and the scale of the outputs is really exciting. Glasgow has a great creative scene, could you share with us some designers and artists based in the city we should know about? It’s a great place to live and work! And there are too many to mention! One of my best friends Kimberley Grant is working on an amazing photography project documenting all the wild spots in Scotland. She’s definitely my go-to for any escapes or walks. And Brendan Bennett – he’s a 3D designer and animator – we work together on all RISOTTO’s website stuff, and his endless talents in making things dance on screen never cease to blow my mind. Could you tell us about some of your favourite places in Glasgow? Eating is the best pass-time, so here’s my little list: Bakery 47, Cottonrake, Mother India/Banana Leaf, Dumpling Monkey, Kimchi Cult, and Alchemilla – my friends new restaurant in Finnieston – definitely worth a visit!